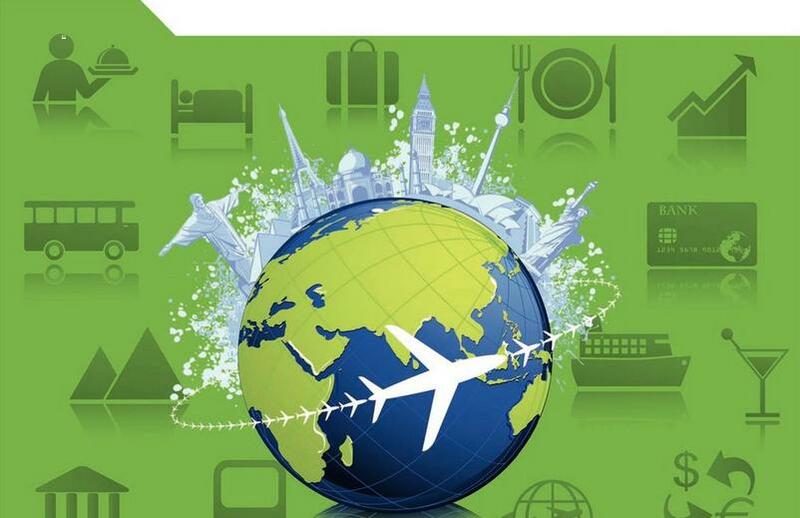 The latest Organisation for Economic Cooperation and Development (OECD) publication entitled, “Tourism Trends and Policies 2014″ provides an in‑depth analysis of the latest trends and policy developments in tourism planning for 48 OECD member and partner countries. It highlights key reforms in tourism organisation and governance with a focus on national and international issues. This report suggests that there is potential for further visa and travel facilitation policies to boost economies. Therefore, OECD (2014) is calling for a strategic, integrated approach with greater coherence among all tourism stakeholders. This publication provides comparative data on tourism taxation. It posits that tourism-related taxes may support infrastructure and tourism development. It also features some relevant information about national budgets pertaining to marketing and promotion, safety and security and environmental protection. The tourism industry directly accounts for 4.7% of GDP, 6% of employment and 21% of exports of services in OECD countries. In Europe, new estimates indicate that 6.6 million travellers from six key target markets were lost due to the visa regime in 2012, equating to EUR 5.5 billion in direct GDP contribution. As a result, governments have implemented a variety of approaches to facilitate travel, from streamlining visa processing and changing visa requirements to introducing other forms of travel authorisation and improving border processes such as e-visa, visa on arrival, automated border processing, and trusted traveller programmes. In recent years there has been a general increase in tourism‑related taxes, fees, and charges, including those associated with air travel, those with an environmental focus as well as incentives for investment and spending. The rationale for specific tourism‑related taxation varies from country to country. Apart from contributing to general tax revenue and supporting public investment in tourism development, other common purposes include: cost recovery for passenger processing and environmental protection; encouraging visitor spending and job creation; and funding promotional activities. Many countries have introduced reduced rates of consumption tax for tourism‑related activities – focusing primarily on hotels and restaurants – to boost tourism and stimulate employment in the sector, or tourist/VAT refund schemes to encourage visitor spending. Industry is concerned by the sheer number of levies payable by tourism operators, what they see as regular increases above inflation and the lack of a clear link with the cost of service delivery, which results in many taxes raising more than their stated objectives. The OECD will continue to work with countries to better understand how tourism‑related taxation affects the international competitiveness and attractiveness of destinations. Greater coherence across government policies is needed to boost tourism and economic growth. Policies such as innovation, transportation, taxation, service quality and visas influence people’s desire to travel and the competitiveness of destinations. Governments should focus more on evaluating the tourism policies, given the widespread pressure on public finances in many countries. More detailed monitoring, evaluation and analysis, of existing taxes and incentives for example, would give policy makers the tools to implement evidence‑based policies to support the long‑term sustainable growth of the tourism industry. Governments and the tourism industry need to develop skills to keep pace with market developments. Digital and social media require a major shift in approaches to marketing, promotion and service delivery, including tailored marketing to individual consumers and learning how to communicate with digitally‑aware tourists. Measures that identify and facilitate high volume, low risk legitimate travellers to move more freely and efficiently should be adopted, targeting constrained resources where they are most needed to secure borders and meet economic, security and other needs.